Picking furniture for use in a commercial setting is completely different to simply picking a nice table & chair set for your garden. Many other factors come into play such how they look, how they can be stored and how long they will last. Here's a few tips for choosing the right outdoor garden furniture for youe establishment be it a pub, hotel or restaurant. Any outdoor furniture that you buy for use in a commercial setting reflects on your business. If you're serving Michelin quality food then a cheap plastic set isn't going to cut it. You have to choose something that compliments your establishment; one of the most popular choices of garden furniture for bars & restaurants is rattan garden furniture that's because it look fantastic and fits into a wide variety of settings be it a traditional style hotel or a modern & upmarket city centre wine bar. In busy environments then the ability to reconfigure garden furniture on demand is a must. So you absolutely must buy garden furniture sets that give you flexbility. By flexibility we mean you can easily reconfigure it for a set event or for a party booking and also you customers are able to maneuver the furniture should they need an extra chair or to join two tables together. Design and flexibility are important but perhaps equally so is how easy to maintain your contract furniture. By maintenance we mean how easy they are to clean – i.e. wipe down at the end of a days use or vacuum. 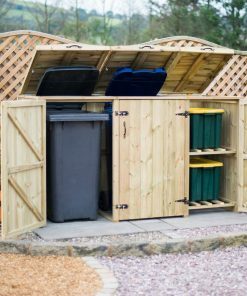 The easiest maintenance furniture comes without cushions and uses an ergonomic design or contoured edges to provide comfort without requiring padding. If you do require cushions make sure to buy some waterproof, wipe clean special outdoor cushions. You'll need somewhere to store them overnight. If you need to put your furniture away at night then stackable furniture can be a great investment. Being able to quickly stack furniture into smaller chunks is both a time saver and space saver. 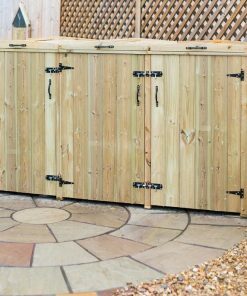 If you plan to leave furniture outside overnight then it'd be wise to invest in some high quality garden furniture covers or tarpaulin to keep them covered and free from the weather, animals and other debris.